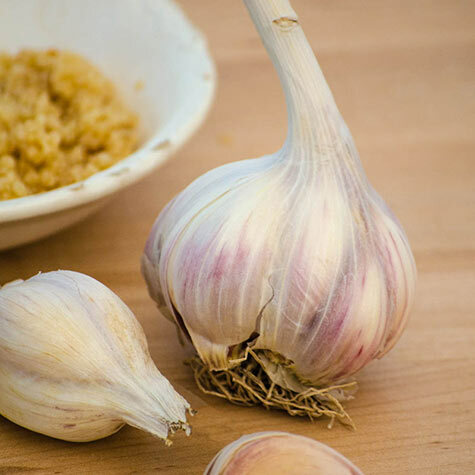 Music Hardneck Garlic | Gurney's Seed & Nursery Co. Produces high yields of easy-to-peel cloves with a mildly hot, rich, musky flavor. A very cold-tolerant, porcelain type, it stores for 9-12 months. Approx. 4-6 cloves per bulb. Pruning: Remove any flower stalks that might form as they will take away energy that is needed to make a large bulb. Comments: Cold tolerant and top producer. Stores for 9 - 12 months.